The Khazar Khanate existed from the seventh to the tenth century. At the peak of its prosperity this nomadic Turkic state controlled the Northern Caucasus, the Lower and Middle Volga regions, part of Kazakhstan, as well as part of the territory of contemporary Ukraine, including Crimea, the Left Bank, and, in the view of some historians, even Kyiv. The history of Khazaria is typical of the Early Medieval Turkic state. It emerged from an alliance of tribes, captured surrounding territories, then disappeared without leaving many traces. However, this nomadic state existed for three hundred years, waged wars, and traded with Byzantium, the Arab Caliphate, the Vikings, and it may have been the only Jewish state among the pagan nomads. Professor Shaul Stampfer, the former head of the Department of Jewish History at the Hebrew University of Jerusalem, a guest lecturer of the Master’s Program in Jewish Studies at Kyiv-Mohyla Academy, and specialist in the history of Eastern European Jews, and I discussed whether Judaism was the main religion in the Khazar Khanate. Andriy Kobalia: Can we trust this group of sources? Are most of the subjects legendary? Shaul Stampfer: The Khazars were a nomadic tribe; the steppe was their native home. The capital of the state was the city of Itil. Today it is difficult to say with certainty where the city was located. The tribes moved together with the herds. Andriy Kobalia: Unlike many other historians, you believe that the Khazars did not adopt Judaism. Why? Shaul Stampfer: I want to start with general things. It is much easier to prove that something happened than to prove that some event did not take place. When you want to prove the former, you simply find one source, you present it, and there’s your proof. If you believe that nothing really happened, you must consider all possible circumstances and prove that all the evidence is unreliable. This is what I am trying to do in my research on the Khazar Khanate. The question of the Khazars’ conversion to Judaism is very reminiscent of the principle of today’s fake news. There is material in a newspaper, on the radio, or on television. If this is broadcast by an official state source, then everyone starts believing it. But what source of information? The Khazars were pagans for a long period of time. The truth is that we know very little about the Khazars. They did not leave us texts or inscriptions and not very many material artifacts. We know about them because they were mentioned by their enemies. The Khazars fought against the Arabs, Byzantium, Rus′, and the Vikings. But they themselves did not leave a description of their beliefs. If we are speaking about sources that mention the Khazars’ conversion to Judaism, there is a batch of correspondence in Hebrew between the Khazar king and a Spanish Jew. If we look at a map and imagine the people in those days, we see that there is a huge distance between Spain and Khazaria. After you read the letters of the king of the Khazars, many questions arise. There is simply an ideal language there. Even today it would be difficult to find a person who can write so beautifully and in this grammatically correct fashion. It is interesting that the language of the king of the tribe was so beautiful. We would expect something much simpler and with mistakes, with fewer quotations and not such [excellent] grammar. In my opinion, this text was written in Spain, which in those days was the center of Hebrew-language literature. There is also no evidence that there are Turkic influences in the text. 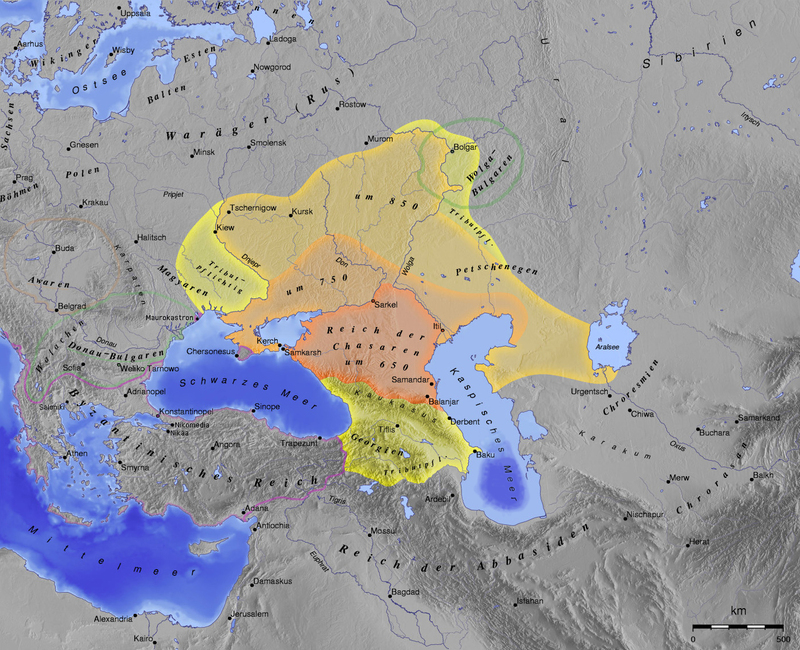 It is generally known that the Khazars were a Turkic people. We do not know what language they spoke, but it was from the Turkic group. So, there is a very fine description of the state in this correspondence; it talks about Crimea and other territories. But the description of the eastern border is obscure. It is very likely that some person was describing what he had heard from others, and did not know where the border of this state lay. In the texts it is written that a generation ago the king of the Khazars was choosing a religion and decided that his religion would be Judaism. The question is that, if we are to believe the source, then the Khazars converted to Judaism before the Khazar Khanate even came into existence. Andriy Kobalia: What can other written sources tell us? For example, the Byzantine Empire was a neighbor of Khazaria. Do Byzantine sources confirm the conversion to Judaism? Or the Vikings, who came all the way to the Arab lands? All these journeys were described in a very exaggerated manner in the sagas. Are there mentions of these tribes? Shaul Stampfer: I agree with you that it is necessary to examine various sources. Khazaria and Byzantium were allies against the Arab states that were pushing northward. I made a very careful study of Byzantine sources and spotted something very strange. There are very many mentions of this state, but not a single one about how they converted to Judaism. The Byzantines were Eastern-rite Christians. Why did they not write that they had dealings with a tribe that professed a religion which rejected the principles of their religion? When Christians sent missionaries there, they gave them instructions. They did not mention that they would be dealing with a population that was mostly Jewish. Why? Later documents mention that Cyril and Methodius studied Hebrew, but this was added at a time when the legend of the conversion had long existed for several centuries afterwards. There is no such information in the sources of that period. Moreover, these missionaries went there to preach Christianity! I wonder if the leader of a state whose main religion was Judaism would allow another religion to be preached. It is difficult for me to imagine such a thing. The king, who is described in the texts as being truly pious, allowed them to proselytize. There were no such stories anywhere during this period. Would Jewish preachers be welcomed in Byzantium? No. Tolerance was not popular in those days. But if you imagine that the king was a pagan and believed in many gods, the theory that he indeed allowed missionaries to preach one of many gods is more credible, but not a Jewish king. Andriy Kobalia: Besides the correspondence that you mentioned, there is an Arabic source that recounts the conversion to Judaism. It talks about the historian and traveler Al-Masudi. He is often cited by the Russian historian Kokovets. Al-Masudi lived in the late ninth–early tenth century and claimed that during the rule of ar-Rashida, the fifth caliph of the Abbasid Caliphate, Khazaria made the decision to convert to Judaism. Why does this person, too, mention the conversion? Shaul Stampfer: The fact is that he takes a lot from earlier texts. For example, neither you nor I saw the Khazarian Khan. And everything that we know about them is from books and sources that we have right now. It was the same then. That is why the majority of Arabic sources on this topic cite older sources. As a historian, I eventually found a primary source. Hardly any of the authors were in Khazaria. It was dangerous because they were enemies. Thus, all the information came from what they had heard from other people. And those people were not Khazars. Sometimes information was passed from an eyewitness to some individual and only then to an author. When everything is transmitted this way, it is always bad. Those sources mention things that we describe today as mythical. For example, there is an account about people behind a wall who will destroy the world if they are able to break through. Obviously, what we have here is a reference to the Great Wall of China. In general, there are many legends in these early sources. At that time authors simply did not have instruments to separate legends from real facts. Another good illustration of the dubiousness of sources is the fact that each early Arabic source gives its own date of the conversion to Judaism. Thus, we do not even have a date. If someone heard about one date, why did he make up another one? There are many rumors in them. And every new author added new information. I would not reject Arabic sources. But one needs to treat them very carefully. If something was written in ancient times, this does not mean that it is the truth. Andriy Kobalia: You can find out more about the Khazars from archaeology and numismatics. The historians, the Florovs, believe that it is very difficult to find evidence of the conversion to Judaism in archaeology or numismatics. Can these two sciences say something about the conversion? Shaul Stampfer: In this sense archaeology does not offer any proof of the conversion theory. There are no grafitti. Some people connect the candelabras that were found during digs with Judaism, but these were not explicitly Jewish candelabra, simply a symbol of light. Burial rites did not change. Some rituals are generally banned in Judaism. But there are exceptions. There is a coin that was made by the Khazars with the Arabic text “Moses, messenger of God”—Moses, not Mohammed. And this proves the involvement of Jews in the production of coins in Khazaria. Jews were often specialists in this. This may be proof of an anti-Muslim and pro-Jewish policy. But there is a saying: “One swallow does not a summer make.” It’s the same thing with coins. 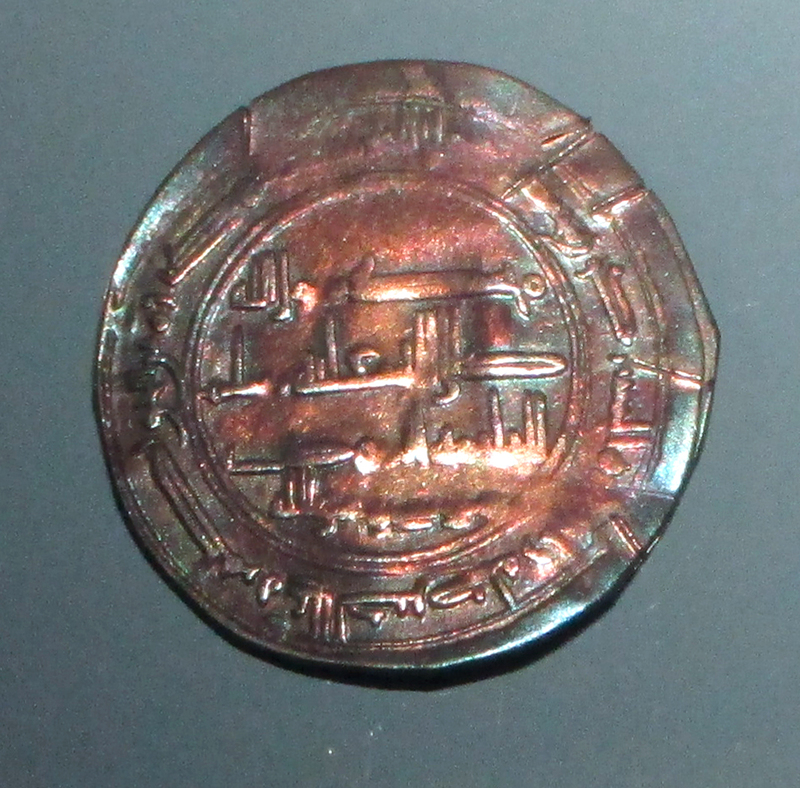 If the khanate had been Jewish and made coins, then there would have been more such inscriptions. But we have only one. It is easier to state that there was a Jew who was engaged in minting coins in Khazaria. Therefore, we still do not have proof. And when there is no proof, it is easier to say that this never happened. Andriy Kobalia: The Khazar state fell into decay by the tenth century. The Arabs, Kyivan Rus′, and the Byzantine Empire pressed it from several sides. 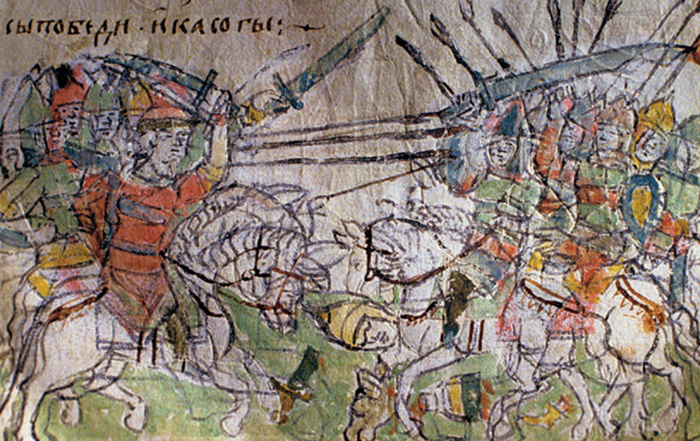 In the 960s Prince Sviatoslav the Brave led a few campaigns against the Khazars and finally captured their capital, Itil. This event is regarded as the end of the Khazar state.